Women who attempt to conceive children need to keep a close eye on a few things throughout their cycles for the sake of making the right situation for conception arise. One of the things these women need to track is their basal temperature. This temperature measures the lowest body temperature during a resting state. For women looking at the best basal thermometers, they should consider the six items on this list closely. Here is a closer look at the top six basal thermometers available on the market today. 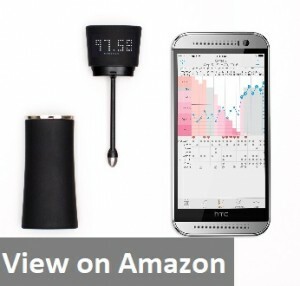 This thermometer connects back to a smartphone or tablet that runs an app for tracking the temperature. For the sake of easy ovulation tracking, this basal thermometer is a great tool to have. Emay offers one of the most accurate basal thermometers geared specifically toward tracking fertility. It literally does the record keeping for the user. Not only does it input data to the readouts on the phone or tablet, but it also plots out visuals for the user, too. This chart also offers the chance to input other information. Women can make notes on the chart about their day, how they slept, and so on. It does not stop there, either. The app used by this basal thermometer can also use patterns found in data in order to help women predict their best days to conceive. Importantly! Women need to be aware that this thermometer acts quickly. Therefore, they need to have their phone at the ready when taking their temperatures. Otherwise, the data might not record initially in the correct way. The app needs to be up and running in order to capture the daily temperature. Hence, a person’s phone and the thermometer need to be charged and at the ready for use before going to bed at each night. Otherwise, they might have to move around in the morning, which can falsely raise their basal body temperature. Women who need a thermometer for tracking their fertility closely should consider this model by Fenometer. Like the previous model, it connects back to an app on a smartphone or tablet for recording data. While it does not have a screen of its own, it does put data back to the app in droves. The imported ABS plastic does not contract bacteria and reduces chances of virus communication. At the same time, it does not have a button as it automatically turns on and off while taking temperatures in its own process. Furthermore, it is easy to clean and take care of. For women wanting to track their fertility temperatures closely, this app will be great for women to access. It tracks their temperature and gives them easy to understand readouts about what goes on each day. As with the previous thermometer and app, it can make predictions based on patterns in a person’s basal temperature. Users can also make notes about what goes on in their lives to track instances of changes in temperature. Hence, they can easily figure out on which days they will likely ovulate. Importantly! Women need to make sure they charge this thermometer from time to time. Otherwise, it might not automatically synchronize data from the thermometer to the app. At the same time, the phone needs to be at the ready and willing to receive data. 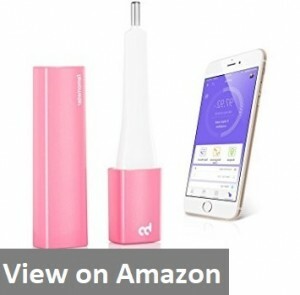 While it works on Bluetooth data connections, some women might find that their first temperature does not always sync the first time. Yet another digital thermometer comes in the form of Kindara’s Wink. This thermometer is one of the more discreet and easy to read digital thermometers out on the market. Women can easily track their fertility on a data basis by connecting this thermometer back to an app on their iOS or Android device. Hence, they will need to have both the thermometer and the app ready to go first thing in the morning. This situation means having to charge the phone and thermometer regularly. This thermometer for menstrual cycle does have a screen on it to display the temperature being taken. With this screen reading out temperatures, women can track whether or not their app records the right temperature as what shows on the thermometer. If this does not happen, then the user needs to take the time and resynchronize the thermometer with the app. Importantly! This thermometer is rather small. 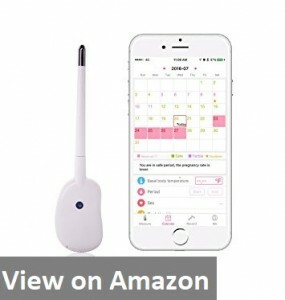 It does not fit in the mouth as easily as the other app integrated fertility thermometers considered thus far. Honestly, the shape of this thermometer resembles a thinner ear cleaning cotton stick. It can be rather difficult to adjust to when taking temperatures first thing in the morning. Women might want to take some time and adjust to the feel of this thermometer in their mouths. Otherwise, they might bite down too hard on it and break off the senor tip. If this situation were to happen, it should be noted that the thermometer cannot be easily repaired. Sadly, it most likely would have to be replaced altogether. This simple thermometer is great for taking basal temperatures because of how accurately it takes measurements of temperature. However, it does not have a memory register beyond the previous temperature taken. 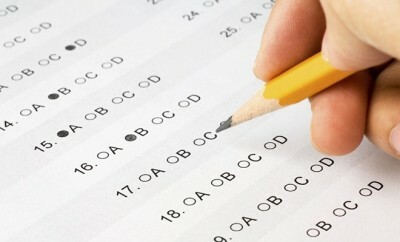 Therefore, it should be used with close record-keeping skills and charts. A woman using this thermometer needs to make sure all of her charts accurately capture time and date of when the temperature was taken. Otherwise, she will not have a way to return back and look at what their previous temperatures were days in the past. Importantly! One thing women need to be aware of when they purchase this thermometer how accurately it displays temperature readings. As mentioned previously, giving a temperature difference to 1/100th of a point means having greater control over temperature readings. Basal temperatures for conception can change just the barest bit during ovulation, so having that extra digit is crucial. This thermometer does not have that reading. It only reads to 1/10th of a point. Women who want to take fast and accurate readings for their basal temperature should consider this model by Gear District. This FDA-approved thermometer reads out temperatures within ten seconds of being placed in the mouth or rear. For the sake of flexibility, the tip on this thermometer moves easily. This model is also waterproof, so it can be cleaned with ease. Furthermore, the battery on this model has a longer life span than most other options. This thermometer for menstrual cycle can be used internationally, too. In order to attract global customers, Gear District set this model up to read in both Fahrenheit and Celsius. Unfortunately, this thermometer does not read to 1/100th point of degree. It only reads to 1/10th point of degree. Therefore, it might not give really accurate readouts for women to use in tracking ovulation. It might not show enough difference in the temperature for ovulation to show up with just 1/10th point of degree. Here is a closer look at some elements behind basal temperature and basal thermometers. Even more so, this glimpse looks deeper into what things to look out for when purchasing a basal thermometer. A basal thermometer is like a regular thermometer, only it works with more sensitivity to body temperature. It looks rather much like a normal thermometer, and it even has a memory recall function in most cases. When to take Basal Temperature? In order to properly track basal temperature, women should take their temperature first thing in the morning. For the sake of accuracy, they should take the temperature after they wake up, but before they start moving around for the day. Any other activity can cause body temperatures to rise, even though it might be slight. This slight raise can make a large impact on accurate temperature tracking in some instances. Why Do Women Need Basal Thermometers to Conceive? Many women have to track their basal temperature during ovulation. The reasoning behind this method of conception is because it accurately and quite effectively tracks basal temperatures over a given period of time. It does take a great deal of time to find patterns in basal temperature dips and rises. However, most women trying to conceive find their temperature dips slightly right before ovulation starts. 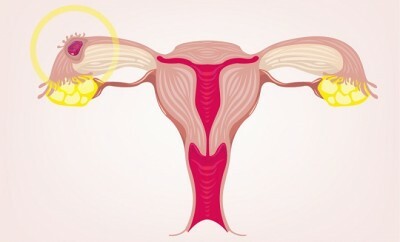 Finding the time of the month when this slight, one digit dip in temperature happens can lead women to discovering their most fertile time of the month. This dip in temperature only lasts for a day or two, though, so women need to keep track of their basal temperature accurately and on a daily basis. For the best results, women also need to take their temperature relatively at the same time of day. The idea here is to mimic daily schedule routines as much as possible to make sure that one moment of temperature difference can be found. Women should try to conceive a few days before and after this change in temperature. Hence, they hit the most fertile time of the month, right when they ovulate. Basal temperature is the most accurate measurement of the body’s natural temperature. It does not rely on temperature gained after any kind of activity. Simply sitting up in bed can change body temperature ever so slightly. Therefore, basal thermometers are highly accurate and sensitive, so they will track these slight changes in temperature better than a normal thermometer. How to Take Basal Temperature? Taking basal temperature goes the same way as taking normal body temperature. Simply turn on the thermometer, place it under the tongue, and wait for the thermometer to beep when it is done. As stated previously, this temperature needs to be taken as soon as a person wakes up and before they get up and move around. Therefore, they should keep their basal thermometer right within arm’s reach for easy access each morning. What Factors Go into a Basal Temperature? There are plenty of factors involved with rises in basal temperature. Therefore, people need to track other items on their charts for basal temperature as well. For example, they should record illness, exhaustion, lack of sleep, or restless sleep. All of these items go into basal temperature, so the records should reflect drastic basal temperature changes with notations about how the night before went. At the same time, emotional distress can alter basal body temperature. Women who smoke should also understand how this habit affects their basal temperature as well. If they suddenly go off cigarettes for any reason, their basal body temperature will change. Why Properly Track Basal Temperature? Any changes to patterns in these categories, and others, can change basal temperature. Taking close care to write down changes in any kind of normal pattern can lead to understanding when a woman’s cycle works at its best. If they make changes in their lives, such as quitting smoking, they should record this life event. Such changes can alter a woman’s basal temperature easily, and if new patterns in life emerge, then tracking that basal temperature has to start all over again. Therefore, women should be prepared to compare notes and look for patterns in their notes routinely. In the end, accurate records are what will lead to finding the right time to conceive. What to Look for in a Basal Thermometer? There are a few things to look for in a basal thermometer. First and foremost, the right choice relies on an electronic model. Other models do not react and present data as accurately otherwise. Women should look for basal thermometers that fit comfortably in their mouth and under their tongue. Many basal thermometers on the market today come with firm tips at the bottom, making them easier to sit under the tongue for a longer period of time. For women who are hearing impaired, they should look into a thermometer that makes a loud noise or vibrates when it is finished. As mentioned previously, most of these thermometers come with a memory access mode, so they can help keep track of accurate temperatures each day. Where to Buy Basal Body Thermometers? 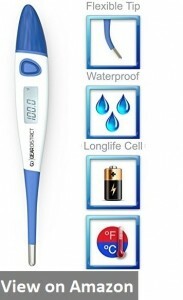 There are several places a person can find a basal thermometer on the market. One location is at the pharmacy. Even pharmacies that belong to larger grocery and department stores carry these thermometers in stock, so they are rather easy to find. 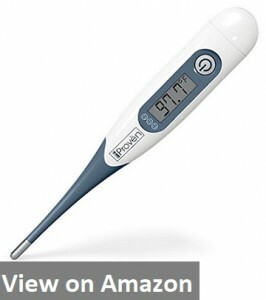 Many online shopping stores also carry these thermometers as well, and they are likely to have the largest selection available. What are the Pros and Cons of a Digital Thermometer? There are a few advantages to measuring basal body temperature with a digital thermometer. As mentioned previously, they take accurate and display accurate measurements, and they also come with a memory recall function. At the same time, they are easy to handle. Glass thermometers break and need to be shaken before use, which can raise basal body temperature in the process of this motion. On the other hand, digital thermometers do run on batteries. Therefore, they need to be changed when the thermometer dies out. Otherwise, if the battery cannot be accessed and replaced, then an entirely new thermometer needs to be purchased. At the same time, figuring out how to fix one of these thermometers can be complex. In some instances, they stop working altogether for no apparent reason. Regardless, they would need replacing. What Happens to Records when Basal Thermometers Die? Sometimes, a basal thermometer needs to be replaced. However, women need to be aware what this situation can do to recording their basal body temperature. For one, it means skipping a few days on their tracking chart. At the same time, it also means having to adjust records to a new thermometer. Not all brands of digital basal thermometers record temperatures exactly the same way. Therefore, basal temperatures might change. Much the same can be said when switching from a glass basal thermometer to a digital one. The same goes in reverse. It can take a few months for the patterns on the chart records to even out and emerge once more. Hence, these changes can sometimes change conception time tables for women. 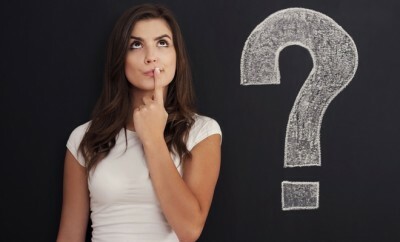 How Much Should a Basal Thermometer Cost? The price range on basal thermometers is great. Many of them cost between $20.00 and $30.00 each. Some higher end models can go well up to $60.00 or more. Price does not speak much to the tune of what these basal thermometers do in performance. The key here is to look for a basal thermometer that provides accurate measurements and that will last for a long time. Finding one with specific functions, like memory recall, might raise the price a little, but a trusty thermometer does and does not have to have this feature. Both kinds come in accurate forms. Here are some key things to look for in a basal thermometer of quality substance. As with most basal thermometers, it should read temperatures down to 1/100th of a degree. While this is only one digit more accurate than normal, digital thermometers, they smallest fraction of difference in temperature can indicate ovulation. Hence, adding that extra digit allows for the watchful eye to find the changes needed to accurately time conception. For the sake of reading these thermometers early in the morning when it may be dark, going for a model that comes with a backlit screen is nice. It is not necessary for accuracy’s sake, though. What would be helpful, though, is to have a basal thermometer with a screen that displays the time and date. Therefore, keeping track of records becomes easier and more accurate at the same time. It is also important to mention that these basal thermometers can record up to a set number of temperatures. Most digital thermometers only record one or two. Basal thermometers can display up to 60 temperatures or more. Pairing this feature with the time and date display is a greater way to go back and check data and patterns with ease. Finally, a good basal thermometer should take a temperature in under two minutes. Otherwise, it might not read the initial body temperature at first morning’s rising. When it comes to finding the right basal thermometer, plenty of options are out there. Some of them will even do the record keeping for users by relating information back to an app on an iOS or Android device. If they want to take records themselves, they can go with more basic models out there as well. They need to be sure to look for thermometers that record data accurately, though. Otherwise, their patterns of data might not be as accurate as they originally thought. Changes in thermometers need to be considered as well, so going from one to another can alter data in some way. These are just a few things to be aware of when purchasing one of these six basal temperature thermometers.